This all stinks of the Clinton Foundation! Wow Like Trump deja vu ! Fascinating story. 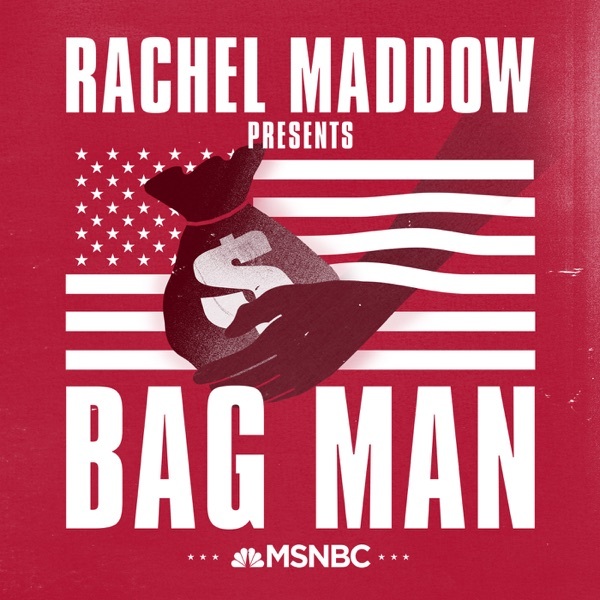 Great and timely work, Ms. Maddow! and what about the "wonderful " George Bush Sr's involvement....?! Rachel, Episode 4 "Turn it Off" is UNBELIEVABLE! Barnet D. Skolnick's first-time reaction to hearing Richard Nixon's and Spiro Agnew's audio recording stating to get "Barnet off this investigation" is......priceless! ! More, More !! I just can't believe this crazy story and that I've never heard or remembered it! I'm 54 but all I've ever known is Nixon and Watergate. It's quite remarkable and amazing the parallels going on right now in our nation!! Just WOW!! Amazing to hear the these tapes of Nixon obstruction in the VP. Spiro Agnew too. Well thought out and informative. Enjoyed it greatly. Rachel keep it up! wow! George Bush participated! omg that's a terrible disappointment! Rachel you make history so interesting. I wish you had been my history teacher through school, I would have gotten straight A's for sure. Thank you for all your hard work. Please write more podcasts. anyone else see she has a special report Sunday. The Lie That Won The White House. I'm so excited.